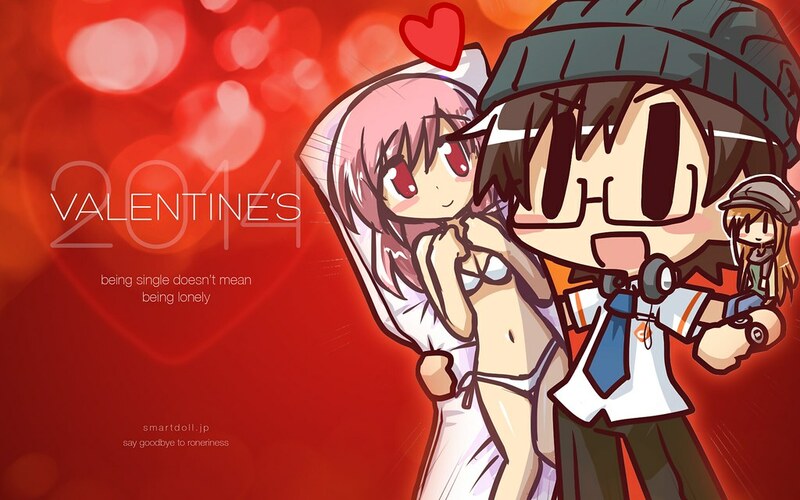 “Being single doesn’t mean being lonely”, was the message of an image posted by Danny Choo on twitter a couple of days ago, as he asked people who their waifus were. Many otaku out there have waifus. Even if you have a significant other already in real life, often some people will still have a anime/gaming waifu or husbando. It’s a term usually used by otaku and weeaboo to denote their favourite female character or 2D significant other, after all, having no bearing in the 3D world (although debatable, given several people marry 2D characters). The term first originated in Azumangadaioh, with the original phrasing as ‘mai waifu’, but while the ‘waifu’ term has hit it off with anime fans, the original phrasing has had much more modest success. For those without a 3D significant other and not spending the day with friends, their waifus are who they fall back on during those romantic seasons when the very air feels heavy with the pressure to have that someone to share the day with. I understand this to an extent, but I know that for me, either taken or single, I would never have a waifu/husbando. I’ve written a few things about falling in love with fictional characters before, and it has been something that has always stuck with me through the years. I’m more interested in the pairings of characters within the series, canonical or non-canonical, than them for myself. I may have a favourite character that I can be obsessed over, but even then I like them in context. If I were spending a valentines day alone, I would be more likely writing a piece of fanfiction about my favourite character with her/his canon/non-canon in-series partner I ‘ship’ them with, than setting up for a dinner with them. Try as I might, I personally can’t see the appeal, but as someone who is also now taken — it just feels too much like cheating. How about you? Do you have a waifu and a significant other? What are your thoughts?